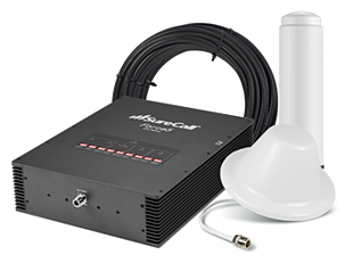 A leader in combining high quality technology with innovative design, SureCall manufactures award-winning cell phone signal booster solutions and accessories, that dramatically improve cell phone reception for homes, cars and businesses. With the surging demand for constant connectivity, the need for reliable cellular service inside commercial buildings has grown dramatically. As we move towards a cord-free lifestyle, business communication is being conducted on cell phones more than ever before. Companies are working to become more efficient and enhance internal communications with reliable in-building connectivity and constant cellular uptime. SureCall signal boosters can be implemented in a variety of applications including a cost-effective alternative to DAS. SureCall offers a line of performance-leading signal boosters that enhance voice, data, Wi-Fi, and public safety communications for multiple simultaneous users inside buildings up to 100,000 square feet and beyond. Designed for use in large buildings 25,000 to 100,000 square feet, the Force5 2.0 cell phone signal booster increases signal strength for 100+ simultaneous users on all carriers, including AT&T, Verizon, Sprint and T-Mobile. Configurable for all indoor environments, the Force5 2.0 is available with a variety of indoor and outdoor antenna options that provide the flexibility to customize installation and meet the needs of any large building or floor plan. Multiple Force5 2.0 boosters can be deployed to cover over 100,000 square feet. SureCall’s Design Configuration Assistance Program saves you time and maximizes your profit margin. Our iBwave certified network design experts provide a customized project layout and itemized bill of materials for your specific floorplan. 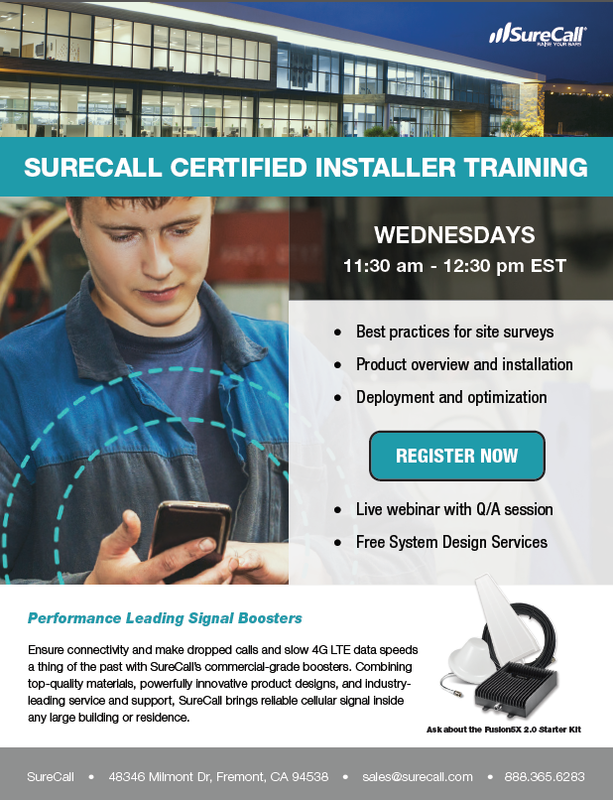 Free for installations exceeding 10,000 square feet and requiring multiple indoor antennas, SureCall connects you with our iBwave certified network designers to ensure you and your customer get top-tier performance from your SureCall signal booster configuration. Prediction mapping allows you to see exactly how the coverage will flow throughout the building, so you know what the configuration will deliver even before it has been installed. This service is provided free for installations over 10,000 square feet. Get started by completing the Design Service Questionnaire at SureCall.com or to learn more, email one of our network designers at design@surecall.com. Why is the Force5 the best booster on the market?